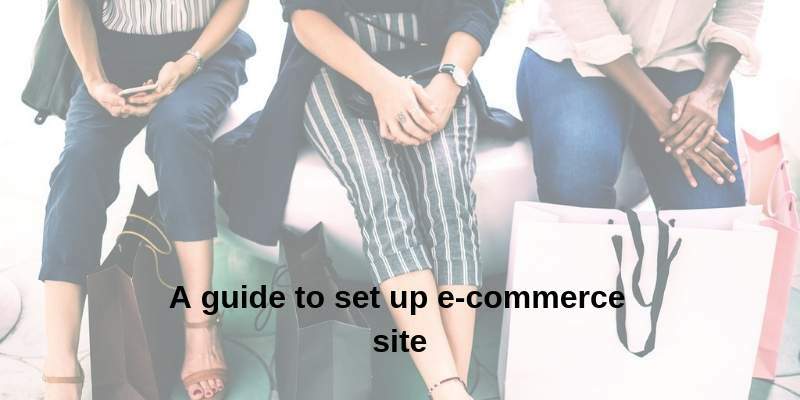 It can be an extremely challenging goal to shoot for when aiming to start an e-commerce site with efficient order processing capabilities and a transparent way to connect customers with the products available for sale. There are many different ways to approach this type of goal, and it usually begins with developing a high quality user interface and design model that is convenient and efficient for potential customers to navigate. The first and probably most important aspect of starting an e-commerce site is the ability to bring in large amounts of traffic. An e-commerce site cannot prosper without targeted traffic that is looking for the type of store that you are offering. There are several different effective ways to direct traffic to your e-commerce store, and one of those tactics is online advertising through Facebook Ads or Google Ad Sense. Paying a small amount of money to direct traffic may seem counterproductive in the long run, but it is a great way to jump start your digital store. The user interface is extremely important if you are intending to build a customer base at your e-commerce site. There needs to be a convincing reason that customers would want to visit your e-commerce store for. The user interface can be that reason, so long as web navigation is easy, and the products are listed in an effective and efficient manner. The category browsing tabs should be filtered and customized so that customers can narrow products from specific price ranges or release dates. All of these little touches can come together in order to provide a better e-commerce experience. Making a good first impression with customers and visitors is extremely important in order to run a long-term and durable e-commerce digital store. Now that we have explored ways to direct traffic to an e-commerce digital store, we can begin considering ways to convince customers to shop at your e-commerce site. This requires an effective user interface as we talked about in the last section of this guide. It also requires an effective price range and a unique collection of products for sale. There are hundreds of reputable online retailers that provide high quality shopping experiences to customers. There has to be something that grabs the customers’ attention and convinces them that your store is right for them. A lower price and a wide collection of products is one way to do exactly that. One way to discover the appropriate price is to look at what other retailers are selling similar items at in their stores. You will probably want to make sure that you are providing as much value to your customer as possible, while still ensuring that you are earning decent profit margins. While it isn’t the only singular tactic to gain the trust of customers, it surely can be an effective tactic when first starting an e-commerce website. Customers are looking for high quality support that responds to questions and order inquiries in a timely manner. It is extremely important to integrate this aspect into your e-commerce web store so that customers feel comfortable that they will not be abandoned if they are in need of assistance. A live-chat system or contact us page tab is usually enough for customers in most scenarios, but the more options that you can provide to them, the more likely you are to receive a positive review from them. Customers that receive high quality customer support in a reasonable time frame will likely remember the name of your e-commerce store. It always makes customers feel good when they feel like they are cared for. Ignoring questions and failing to respond to orders or inquiries is a sure-fire way to lose customers and reputation. Creating an effective store name is just as important as everything else that has been mentioned in the previous sections of this guide. It is in your best interests to have a catchy name that customers will remember. Think about some of the most well known retailers that have effective store brands, they tend to have catchy names that stick in your mind forever. An effective branding logo to go with the name is also an important factor to not forget when establishing an e-commerce web store. An effective order management system is imperative to finding success when establishing an e-commerce store. The processing time between the customer clicking the ‘purchase’ button needs to be as efficient and quick as possible. The faster that you can ship the requested item, the more likely that your customer will come back for more orders. This is another factor that customers will remember when having a customer interaction experience with your site.